The average person might find envelope printing and the many types of envelopes you could order quite surprising. Just how many types and envelope sizes are there? 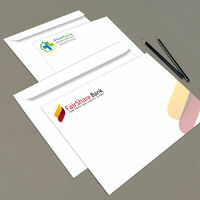 How can you make custom printed envelopes to fit your business needs? 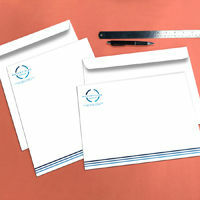 There are ways to make our business stand out with envelopes (including standard envelopes sizes like #10). Aside from having a creative design, playing with colors is another means toward that goal. 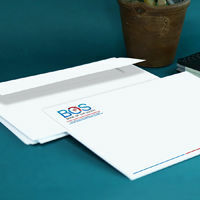 Commercial envelopes are available in two sizes, #9 (3.875” x 8.875”) and #10 (9.5” x 4.125”). 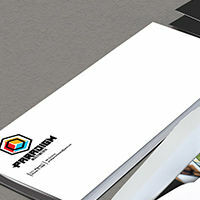 They can be paired with an 8.5” x 11” letterhead. Great for company branding. Like commercial envelopes, 1.5” square flap envelopes are available in #9 and #10 and can also be paired with 8.5” x 11” letterhead. They have the same features as 1.5” square flap envelopes only this time, the flaps are slightly longer. You can print remittance envelopes in two sizes, #9 and #6-3/4 (6.5” x 3.625”). You also have the option of printing the inside of remittance envelopes. 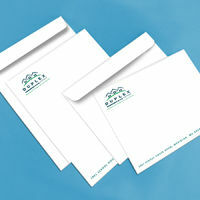 Offering envelopes are 6.25” x 3.125”. 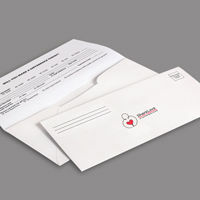 Otherwise known as tithing envelopes, they are essential for charitable institutions and religious groups as they’re used to collect donations for missions and day-to-day operations. 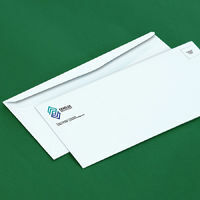 This type of envelope is used to mail folders, magazines, and business reports. Available in three sizes: 6” x 9”, 9” x 12”, and 10” x 13”. Also available in three sizes: 6” x 9”, 9” x 12”, and 10” x 13”. This time, flaps are located in the short side of the envelope. 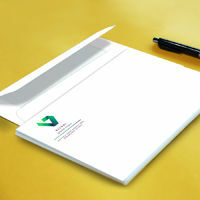 Announcement envelopes work well for business correspondence. 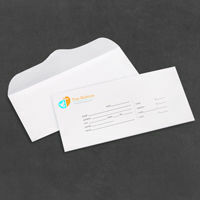 An A2 envelope (4.375” x 5.75”), for example, will fit invitation cards or a trifold 8.5” x 11” letterhead. You can also print A6 (4.75” x 6.5”) and A7 (5.25” x 7.25”) announcement envelopes. 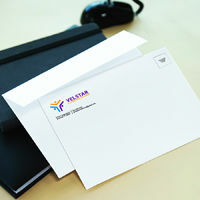 1-color envelopes use one of three colors (black, reflex blue, or standard red) and can only be printed on the front. 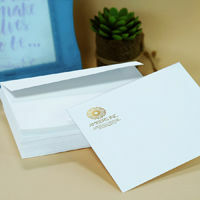 1-color envelopes are more cost-effective than full-color envelopes. 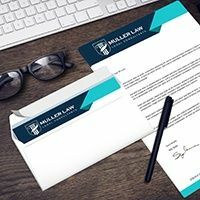 With different color and size options, you can print custom envelopes for mailing and shipping with your company’s logo and information, and your branding will follow every letter, bill, and catalog you send.